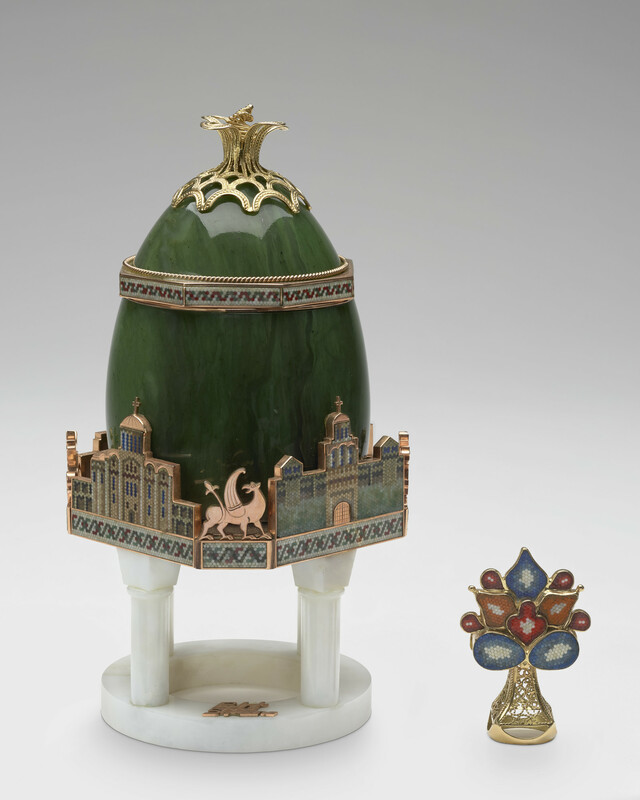 Nephrite egg and cover with gold filigree and point stone mosaic, base supported with figures of Kiev's buildings - St. Sophia Cathedral, St. Cyril Church, Savious on Berestiv Church and the Golden Gate. Contains 'surpirse' mosaic and filigree 'Life Tree' talisman (a symbol of happiness and prosperity. In leather fitted box and cover.